Each story links to the tale of a Yelp employee known as “Talia Jane.” On Friday, Ms. Jane (not her real name), posted a blog post on Medium entitled, “An Open Letter to My CEO.” The CEO in question is Yelp CEO, Jeremy Stoppelman. [Y]ou can let customers choose a donation amount during checkout and divide those proceeds among your employees who spend more than 60% of their income on rent? The ideal percent is 30%. As I said, I spend 80%. What do you spend 80% of your income on? I hear your net worth is somewhere between $111 million and $222 million. That’s a whole lotta rice. Murder Was The Case That She Gave Yelp. Each of the reports linked above state that Ms. Jane lost her job on Friday. According to the Quartz story, Yelp would not comment on the reason for the separation of employment. Ms. Jane told Quartz in an email that the human resources department informed her the “letter violated Yelp’s Terms of Conduct and for that reason, they (Yelp/Eat24) had to ‘separate’ from me.” And, here are some tweets (1, 2 3) from Ms. Jane addressing the sequence of events. might lose my job for this so it'd be cool if u shared so i could go out in a blaze of…..people knowing why i got fired? google says my work email address doesn't exist, which means i have officially been fired from Yelp/Eat24 for writing this. i'm on the phone with HR going over my severance now. But, regardless of where you come out on Ms. Jane’s predicament, the pertinent issue for this post is whether Yelp did the right thing. 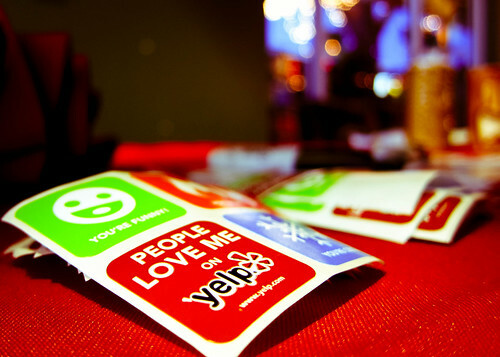 First, should Yelp have been concerned with Ms. Jane’s free speech rights? Well, since we’re dealing with private-sector employment, they don’t exist. Period. Second, what about protected concerted activity? That is, the National Labor Relations Act allows employees to discuss the terms and conditions of employment with one another without fear of reprisal. Generally, however, there’s nothing concerted about one person griping about working conditions. So, that won’t work here. Ultimately, it was poor judgment that doomed her. None of the linked stories make a big thing about this. But, when it comes to Lady Murderface, call me old fashioned. I don’t know about you guys, but, unless I’m recruiting for Don Corleone, I’m going to pass on hiring someone whose name involves a capital crime and her face. Would I fire a current employee whom I learned referred to herself on Twitter as “Lady Murderface?” Probably not. But, given everything else going on here, there’s that poor judgment thing again, I can see why Ms. Jane is out of a job. Image Credit: Nan Palmero on Flickr.